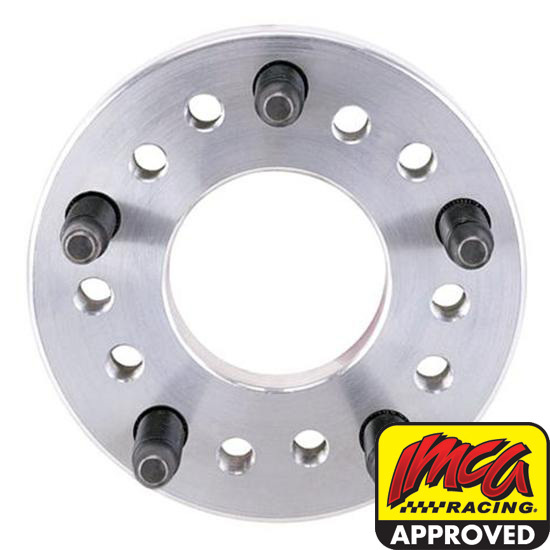 5 on 4.5" & 5 on 4.75"
This off road/race car application 5 on 5 hub adapter adapts 5 on 4-1/2" or 5 on 4-3/4" hubs to use a 5 on 5" circle track racing / off road wheels. Aluminum adapter with 5/8" coarse studs, 1" thick. Lug nuts NOT included. Sold each.